The communist ideology in China is in decline. The emperor, as the expression goes, has no clothes. Yet most liberal critiques of the present regime do not penetrate to its spiritual essence, and fail to provide the philosophical foundation for a transitional politics and morality for the Chinese people. Meanwhile, so-called conservative thinkers, including Gan Yang, are blind to the distinction between primary reality and secondary reality, while attempting to embrace both simultaneously. Yang’s three-in-one agenda (i.e. liberalism, socialism and Confucianism) is welcome by most intellectuals but is, to my mind, just another utopian lie. My friend Daniel A. Bell, a Canadian a professor in the philosophy department of Tsinghua University, proposes a replacement or transition from Marxism to Confucianism in political-ethical discourse. I agree with his proposal but disagree with him about the extent of Confucianism’s value. Then there is Dr. Chen Ming, a scholar in Beijing studying Confucianism as a civil religion, whose argument follows that of civil-religion theorist Robert Bella, and owes much to the philosophy of Rousseau and Durkheim. 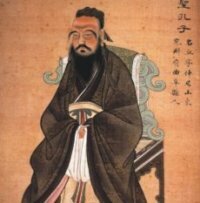 Though Ming agrees that Confucius’ realissimun is transcendent, there are many contradictions in his argument. Given my interest in the interpreting Confucianisn in the context of “civil theology”, I believe that Eric Voegelin provides the best resource in considering their relationship. 1. The intellectual tension of the life of reason is difficult for the majority of the members of a society to bear. 4. The coexistence of mass beliefs and the life of reason in society has, since the Stoics, been classified under the headings of theologia civilis and theologia naturalis. We can therefore state that Voegelin’s use of civil theology is neither favorable nor critical, especially when he described the five systematic efforts in the West to create one, i.e., the Gelasian System, the Minimum Dogma, Sectarianism, Lockean Civil Government, and Constitutional Democracy. The last effort may be seen by Voegelin as positive since he defends the concept of government as “of the people, by the people and for the people” in his lecture Democracy in New Europe , which earned the endorsement of Leo Strauss. Outside of Western civilization, Voegelin also mentioned that Confucianism, Taoism, and Buddhism were chosen successively as civil theologies in Ancient China. But Voegelin did not continue with much detail. In an effort to fill out this interpretation, I will now try to talk about Confucius’ Tian as a symbol from the perspective of civil theology. To help illustrate my understanding of Confucius’ Tian, I would like to first relate the story of Lou Tseng-Tsiang. Lou (1871-1948) was born in Shanghai. His father, Lou Yong Fong, was a lay catechist for a Protestant mission in Shanghai. Before he entered the School of Foreign Language in Shanghai at the age of 13, Lou learned Chinese sacred texts at home. He continued his education at the school for interpreters employed by the Foreign Ministry, and in 1893 he was posted to St Petersburg as an interpreter for the Chinese embassy. At that time, the diplomatic international language was French, but Lou also attained fluency in Russian. Lou married a Belgian citizen, Berthe Bovy, in St Petersburg on February 12, 1899, and later converted to Roman Catholicism in 1911. Lou was a legendary person in that he was a notable diplomat and foreign minister. Upon the death of his wife, he retired from active political life, and in 1927 became a postulant in the Benedictine monastery of Sint-Andries in Bruges, Belgium. He was ordained a priest in 1935. During the Second World War he gave lectures about the Far East in which he propagandized for the Chinese war effort against Japan. In August 1946, Pope Pius XII appointed Lou titular abbot of St Peter in Ghent. We may wonder why Lou’s father gave only one word, Tian, to him. And why was Lou so thankful to his father? Nearly every Chinese person says the word Tian in his ordinary life, but few speculate upon its deep meaning. I am not intending to provide a translation for it here, as no single word in any Western language corresponds to it exactly. Generally, it is adapted as “Heaven”. But Tian has been interpreted from a naturalistic worldview from very early in Ancient China, even by Xunzi (ca.312-210 BCE), a major figure in early Confucianism. Therefore, its multi-layered symbolic meanings are not transparent to many scholars. For example, there was a book published in 2006 entitled An Introduction to Chinese Philosophy, whose author, Jee-Loo Liu, does not discuss Tian in relation to transcendence. And in the newest edition of The Analects of Confucius: A Philosophical Translation, Roger T. Ames and Henry Rosemont Jr. seem to deny the presence of transcendence in Confucius. Therefore, we must try to recover Tian‘s symbolic or analogical meanings. The case of Lou Tseng-Tsiang may motivate us to look at the experiences of transcendence from a cross-cultural perspective. As I mentioned above, Lou was educated traditionally at home, though his father was a Protestant. When he was thirteen years old, he had studied the Analects, Mencius, The Great Learning, and The Doctrine of Mean—four scriptures in China dating back to the Song Dynasty. And yet he ultimately became a Benedictine monk. In his autobiographical speech (published in French as Souvenirs et Pensées) he claimed that he was born as a Confucian and remained so for all his life. Here we witness that in such a person, Confucianism and Christianity can be lived at the same time. How might we understand this? By interpreting the Confucian experience of transcendence and its main symbol of Tian. Now let’s try to understand Tian in the Analects. The following explanation in English is based on several sources, including the essay by Professor Robert B. Louden from the Philosophy Department at the University of Southern Maine. Literally, Tian combines oneness and greatness. Confucius said, “It is Tian that is truly great and it was Yao who modeled himself upon it” (Analects, 8:19). We can say that Yao, one of the greatest kings or sages in Ancient China, represented Tian. Reading into this passage, there can be deduced four properties of Tian: it is the highest, the unique, the greatest, and the perfect. But another passage shows that in Confucius’s thought, Tian is neither theistic nor anthropomorphic: “What does Tian ever say? Yet there are four seasons going round and there are the hundred things coming into being. What does Tian say?” (Analects 17:19). At fifty I understood the Decree of Tian (Analects, 2:4). He [the gentleman] is in awe of the Decree of Tian. (Analects, 16:8). Sacrifice as if present is taken to mean sacrifice to the gods as if the gods were present (Analects, 3:12). The topics the Master did not speak of were prodigies, force, disorder and gods (Analects, 7:21). Such an attitude is similar to that of Jean Bodin, which is introduced by Voegelin in his History of Political Ideas, Vol.5 and was emphasized in his Autobiographical Reflections. And more than that, I think that Confucius’ attitude to gods and ghosts can be compared to Plato’s attitude to traditional cosmological myths. One of the practical problems here is the situation of religions in China, as well as the kind of legislation needed to deal with the relations between them and between religion and politics. We all know that Marx’s theory of religion has traumatic consequences in communist regimes. What we need to find is a way to allow religions to function positively in post-communist societies—a matter of particular urgency in China. Yet we cannot simply impose unfamiliar symbols such as God or Nous upon the population. Rather, we must try to rediscover traditional symbols and their meanings. This phenomenon should be further examined under the premises of Voegelinian political theory. There are several important symbols related to Tian, one of which is Tian-Xia (“All under Tian“), which is being discussed presently in mainland China. More importantly, it is also discussed at some length by Voegelin himself in his monumental work, The Ecumenic Age. I hope to be able to talk about it next time. A professor in Hong Kong University and who studied American politics at the University of Chicago. See Strauss’s letter to Eric Voegelin from 1960, is included in their correspondence. The Journal of Politics, vol. 34, no. 1 (February 1972), p. 1-36. Columbia, MO: University of Missouri Press (2007). Ellis Sandoz, “The Civil Theology of Liberal Democracy: Locke and His Predecessor”, The Journal of Politics, vol. 34, no. 1 (February 1972), p. 26. Appendix II to “A Biography of Lou Tseng-Tsiang” in Collected Works of Luo Guang, Vol. 27, p.545-6. [Publisher information unavailable]. New York: Ballantine Books (1998), p. 35-6. “What Does Heaven Say?” in Bryan W. van Norden (ed. ), Confucius and the Analects, Oxford, UK: Oxford University Press (2002). David Hall and Roger T. Ames, Thinking through Confucius, Albany: SUNY Press (1987), p.206. Benjamin Schwartz, The World of Thought in Ancient China, New York: Belknap Press (1985), p.124-25. Bryan W. van Norden (ed. ), Confucius and the Analects, Oxford, UK: Oxford University Press (2002), p.79. Ellis Sandoz (ed. ), Columbia, MO: University of Missouri Press (2006), p. 138. Charles R. Embry and Barry Cooper (eds. ), Philosophy, Literature, and Politics: Essays Honoring Ellis Sandoz, Columbia, MO: University of Missouri Press (2005), p. 219. Eric Voegelin and Thomas Hollweck (ed. ), CW 28, Columbia, MO: University of Missouri Press (1990), p. 52-110. “Confucianism: An Appreciation”, Harvard Theological Review, vol. 9, no.1 (1916), p. 7-20. Daniel Hsu or Xu Zhiyue (1961-2014) was an independent scholar and translator in Shanghai. He helped to introduce a great variety of European and American minds into the Chinese-speaking world. He was a principal Chinese translator of Eric Voegelin.